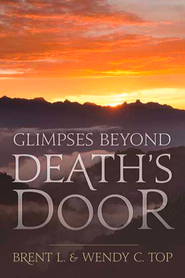 Gaze Into Heaven is a compilation of fifty documented near-death experiences of life beyond the veil, drawn from the early history of The Church of Jesus Christ of Latter-day Saints. Filled with insight and inspiration, this book melds engrossing personal experiences with perceptive commentary, scripture, and quotes from latter-day Prophets. 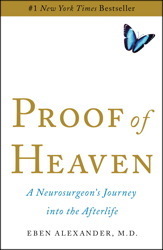 After reading this book, you won't ever think of life—or death—the same way. 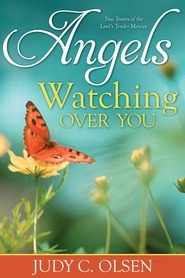 This was the most wonderful book to read,and it strengthened my Testimony. My late dear sister and I used to discuss this subject. Found it hard to see the end of this book. Sacred and hallowed, Gaze into Heaven is the perfect title. I have read in several years. I view my mortal life. will find this absolutely fascinating. 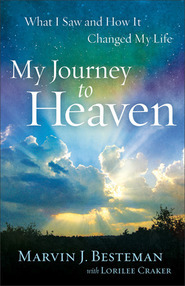 Gaze into Heaven is a book of complied true near death stories organized in a way that is easy to read. Each chapter is a piece of the after-life puzzle answering individual questions like what is a spirit body like and are there cities in paradise? What a wonderful compilation of early church (Mormon) history this is. The stories are eerily similar. Maybe eerily is the wrong word - I found it absolutely testimony building that all the accounts concurred with one another. "By the mouth or two or more witnesses" and witness they did. These people who died and went to the other side and came back to tell us what they experienced did not know one another, but as I read their accounts I was stunned at the similarities. 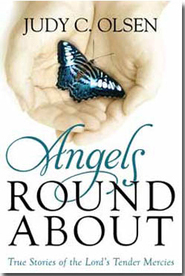 As I read the pages my life-long fear of dying dissipated. These Mormon pioneers described the freedom they felt as their spirits separated from their bodies, the joy they felt in the world with other kindred spirits, and the peace they felt in their passing and I found myself looking forward to the experience. For me that is a huge breakthrough. I cannot even explain my phobia of dying, its been debilitating at times. I am truly grateful to Marlene for writing this book and helping me have a greater understanding of my life now and into the eternities. This book has power in its pages. After getting acquainted with just the first few chapters I felt like I was on hallowed ground just viewing the cover. I didn't even have to open it to feel inspired although I did as frequently as was possible in receiving this balm to my soul. These stories are sacred like the temple and I am so grateful they have been shared. I really enjoy reading near death experiences, call me weird, but I find people's views interesting on the subject. I also love history, so put the two together and I am set! 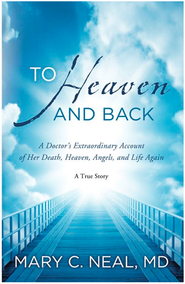 There was such a variety of near death experiences, from Men, Women, and Children. From meeting loved ones who had passed, to meeting Christ. This read was Spiritual and brought me closer to my Heavenly Father. Even though all the experiences were had by different people, there were so many similarities when you look at all of them. Some people came back for only a short period of time to say goodbye and tell their experience, then an hour or two later they would leave this life for the glory of Heaven. One man had two years to get his life in order and then he would be taken back home. Two of the stories that stuck out to me both dealt with seeing the Prophet Joseph Smith in a room, with a long table and him walking back and forth being very busy with his work. This came from two very different people, one happened to be a little girl. I know in my family there have been some near death experiences, which I find amazing! I can certainly wait to die, but what joy I will have when I get to the other side and get to have my own experience in pure Love. This book is very intriguing and has given me much to ponder about. I really loved the stories included within its pages. I find it interesting that all near-death experiences have up to 10 common traints: a sense, of being dead, peace and painlessnes, out-of-body experience, the tunnel experience, seeing people of light, seeing a Being of light, experiencing a life review, rising rapidly into the heavens, reluctance to return, and different being in a defferent time and space. So why read a book like this? 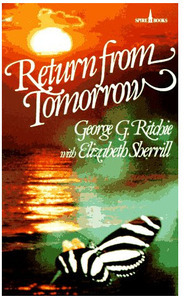 After reading this book you will want to live a better life and you will strive harder to fulfill the mission you were sent here to earth to fulfill and you will feel more peace about those who have gone on before.